Its that time of the year again, the New Year approaches. No doubt we will all be doing similar things that we did last new year? You know; promising ourselves many things. That diet will start first thing on the 2nd of January! Those cigarettes are going in the bin one minute after midnight! In fact, nearly everyone makes new year resolutions that we really mean to follow through with; but we don’t seem to manage it. What are the top ten new year resolutions? There are, of course, hundreds, at least, resolutions that is. However; the top ten are usually the usual suspects, so to speak. I will run you through them and see what ones you will be adopting, one minute after midnight on the 1st of January. Quit Smoking! Oh yes! this is a biggie. If you have never been a smoker, you cannot appreciate what this would mean as far as an achievement is concerned. Quitting the evil weed, for some people, is tantamount to climbing Everest. Often, will power alone cannot help, so, if you know somebody who is trying to quit, give them some encouragement. Lose Weight: Being overweight is bad for your health, you also don’t fit into those clothes you paid so much money for. Losing weight is another huge resolution and, just like the ciggies, it seems like a long, slow, boring process. Many people will go for this one, the gymnasiums will see a spike in membership in January. Spend more time with the family: Far too many of us spend a limited time with our families and friends. This is because, quite often, we are out at work. Needs must when the devil drives. Sometimes we have to do things that we would rather not be doing but, somebody has to do it. Try and make time in 2018 for family and friends. Get out of debt: This is another resolution that comes around every year, just after you have spent too much money on Christmas presents. Debt is a horrible thing and getting rid of debt can be a long, hard process but well worth the pain. Quit Drinking: or, more realistically, drink less. Another one that improves both health and finances. People quite often don’t remember making this particular resolution, they say they must have been drunk when they made it. Pick a card, any card! In fact, take a few. Which ones will you be picking? Oh Yes, five more of the top ten to go. Have you spotted your particular ball and chain for 2018? No? Well, lets look at some more. Enjoy Life More: Yes, a surprising one this. Everyone would like to enjoy life more, I’m sure of that. Why then do we wait for the new year before expressing this wish? Perhaps because it really is a new start, a watershed even. Best of luck with that one. Learn Something New: Many people would love to take up a new hobby, travel more, learn to play a musical instrument, jump out of an aeroplane and such like. New Year is the time to promise ourselves all these things. Help Others: Some folk come over all philanthropistic at this time of the year. The sudden urge to make the planet a better place and improve the lives of our fellow man or the animals that roam upon it. The urge is great, however, quite often, this is fueled by the drink and ciggies. Get my life together: get organised. Clear out that shed, redecorate the house, apply for a new job, the list is endless. The need to reorganize ones life at new year can be a great incentive to actually do it. Good luck! Bucket List: All those things you want to see and do before the grim reaper pays you a visit, write them down. This is a bucket list. Some people only start theirs when they think time is limited. others because they are scared they’ll forget and miss something. Swim with Dolphins, see the Taj Mahal, climb Everest, get a tattoo, the list is endless. That will be enough, for now. 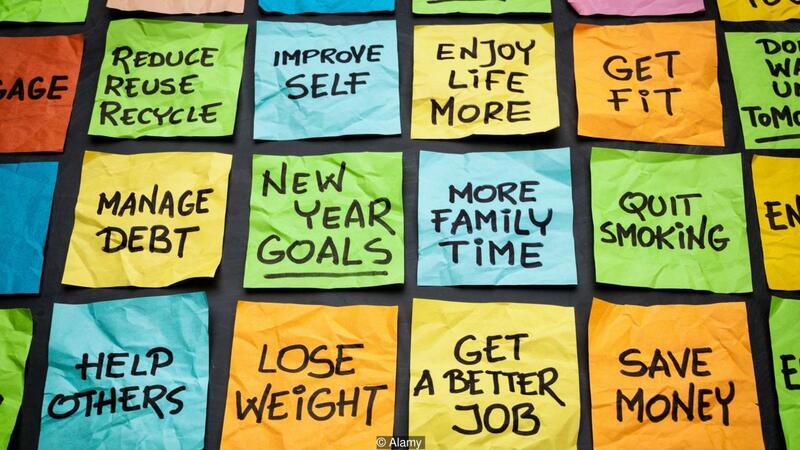 How many of the above resolutions will you be breaking this new year? One resolution you should make, the one about spending more time with the family? Why not do that and bring them to our Forest of Dean lodges in 2018? This will also cover the resolution for enjoying yourself more. Don’t wait, don’t add it to your bucket list, book a Forest of Dean lodge for 2018, we will be delighted to see you. Until then, from all at the Forest of Dean Lodges; HAPPY NEW YEAR 2018!